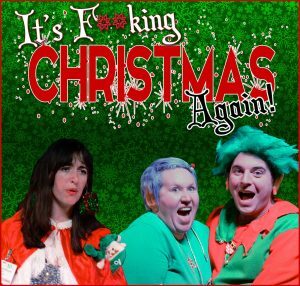 Inspired: An Improv Blog It's F*cking Christmas Again, You Scrooge! It’s F*cking Christmas Again, You Scrooge! What?! You don’t love when Christmas music starts playing in stores the day after Halloween?! YOU SCROOGE!!! In our 4th annual holiday production we are giving YOU the chance to be the star of a totally screwed up Christmas nightmare! 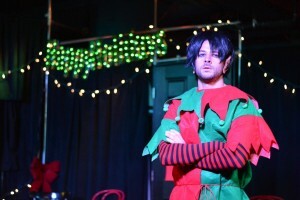 One lucky audience member will be the scrooge of our show and the receiver of the biggest gift of all, CHRISTMAS MAGIC! This show is jam packed with saucy elves, unplanned adventures, hilarious songs, and that toy you really wanted as a kid but didn’t get. And maybe you still don’t deserve it?! You SCROOGE!!! Join us for this musical extravaganza every Saturday November 17th- December 15th! 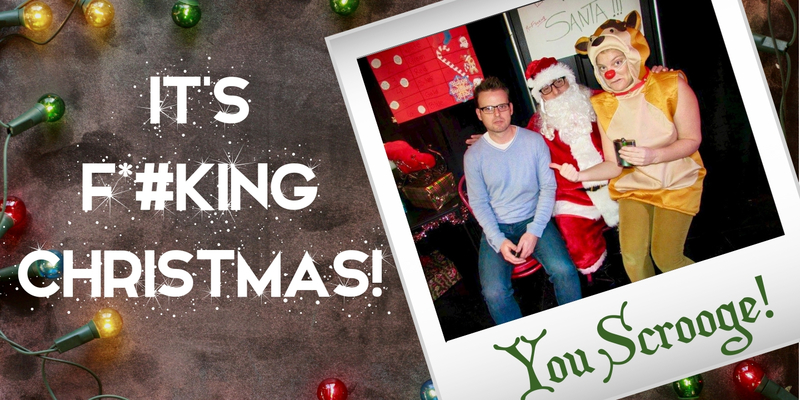 Bring the entire office and nominate your boss to be our scrooge, or even that bride/groom to be! We’ve got group discounts for parties of 6 or more, especially if you wear your Santa hats and ugly xmas sweaters!